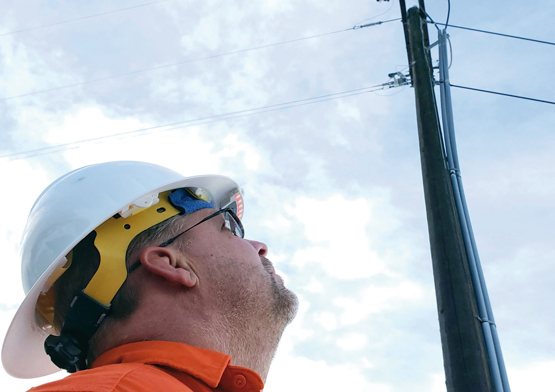 For Tim Ledford, Brandon Bledsoe and John Thompson, what started as a passion project tailored toward making the jobs of their loved ones safer is now reshaping safety for anyone working near energized power systems. The trio are founders of Safeguard Equipment. While students in the entrepreneurial and electrical engineering program at the University of Idaho a few years back, they were tasked with essentially inventing a product related to safety and bringing it to life. What came about as a result is now the personal voltage and current detector known as Compass, a product that is well-suited for power utility applications and capable of being used in a variety of other markets. According to Mr. Behrens, when Compass was first developed by the founders of Safeguard Equipment, it was as large as a laptop computer. Now it is the size of a stick of gum. The product drew so much praise and attention that, during their senior year, Tim Ledford, Brandon Bledsoe and John Thompson secured several honors and prize money by participating in a number of business entrepreneur competitions. One sponsor of a large competition they won was Avista Utility out of Spokane, Washington. After seeing the founder’s passion and revolutionary technology, Avista Development decided to partner and invest in this trio who used the money to launch their startup venture, Safeguard Equipment. While Compass is currently most often used in power utility applications, other potential markets for the product include first response, fire, police and industrial manufacturing. Applications where Compass is most useful include dealing with downed powerlines after storms. The wires can be buried in trees and under snow, or, in some cases, you are in situations where you need to assess an outage. Having Compass at your disposal in these scenarios is critically helpful. 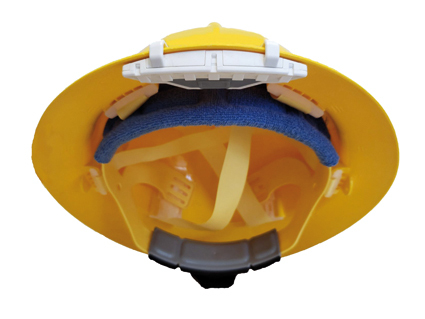 Compass is not only able to detect voltage and current, it is engineered to be attached easily to the underside of a person’s hard hat – essentially allowing it to become personal protective equipment (PPE). Compass then provides proximity alerts for voltage and current long before its user comes in contact with a threat. In addition, it also shows the approximate direction of the energized conductor. While Compass should not be used as the primary means to assess whether voltage or current is present in a particular environment, it leverages technology and form factor to help augment human sensory capabilities, which can ultimately help save lives. Safeguard Equipment will have its flagship product, Compass, on display at ICUEE, The Demo Expo, slated for October 1-3, 2019, in Louisville, Kentucky.